Exclusive Service !!!! but Why?? ✓✓ It’s always good for your site when you get Contextual links to your site. The keys are the authority and relevance. ✓✓ Contextual Dofollow Backlinks can be very powerful and valuable to your SEO efforts. ✓✓ Google loves these links. these domains have good authority as they have been around for a long time and have many trusted and quality sites linking to them. 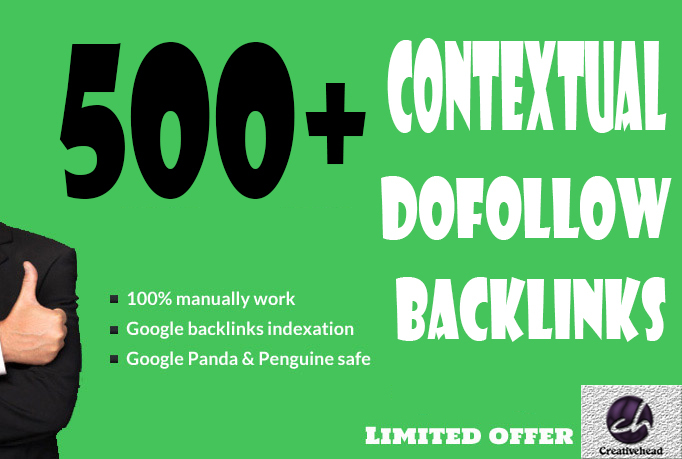 will do 500+ Contextual Dofollow Backlinks is ranked 5 out of 5. Based on 169 user reviews.